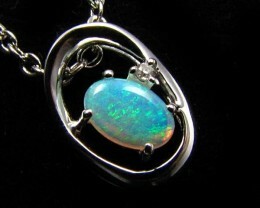 A Natural Boulder Opal mined in Western Queensland near the town of Quilpie. 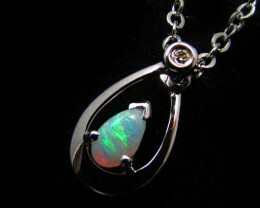 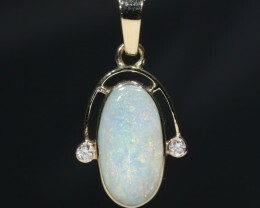 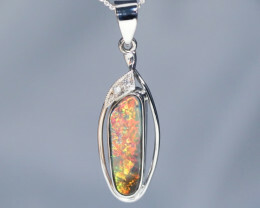 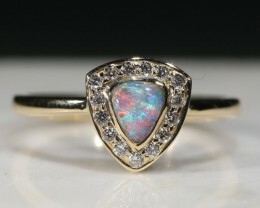 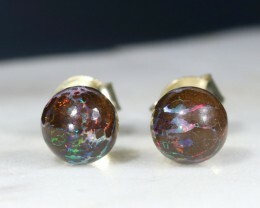 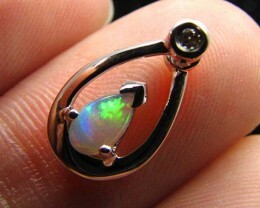 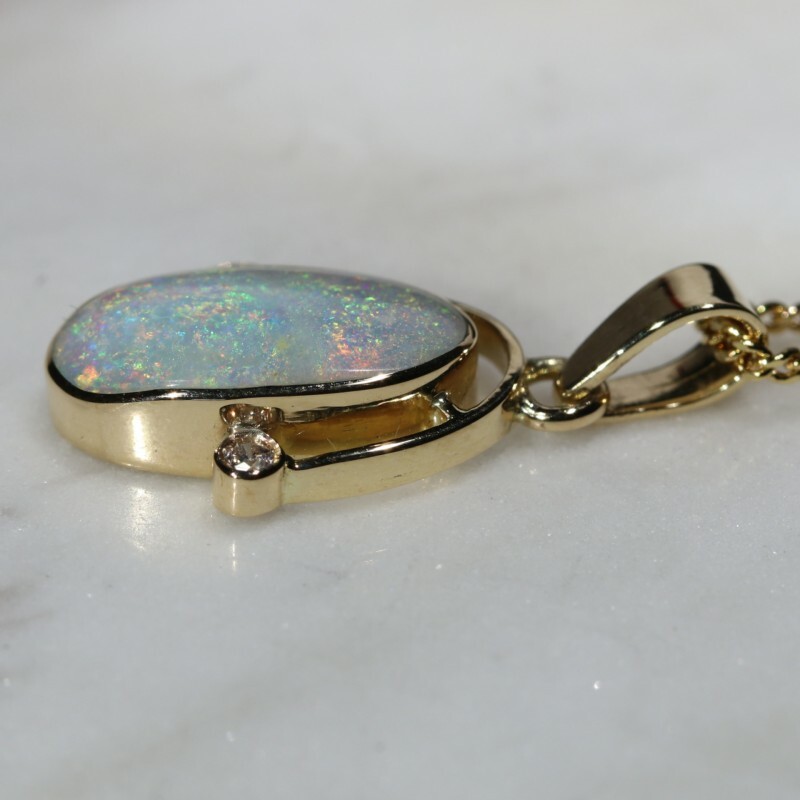 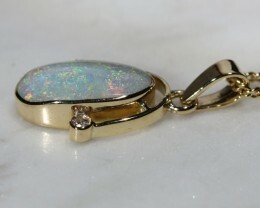 The Opal is white in colour with a nice stripe pattern. 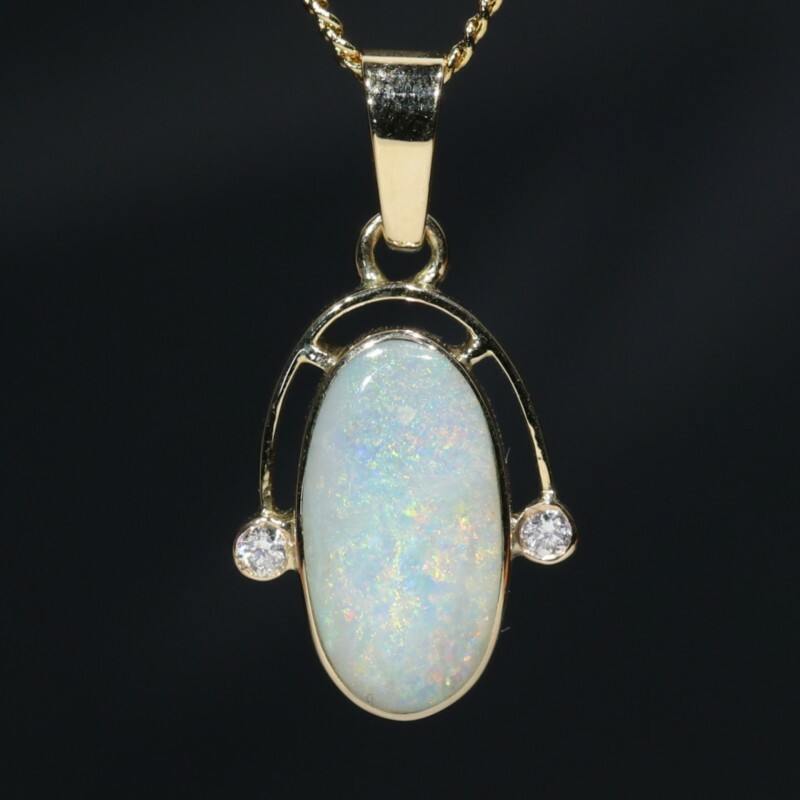 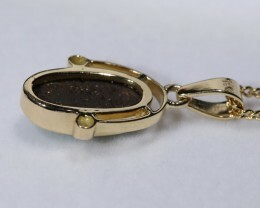 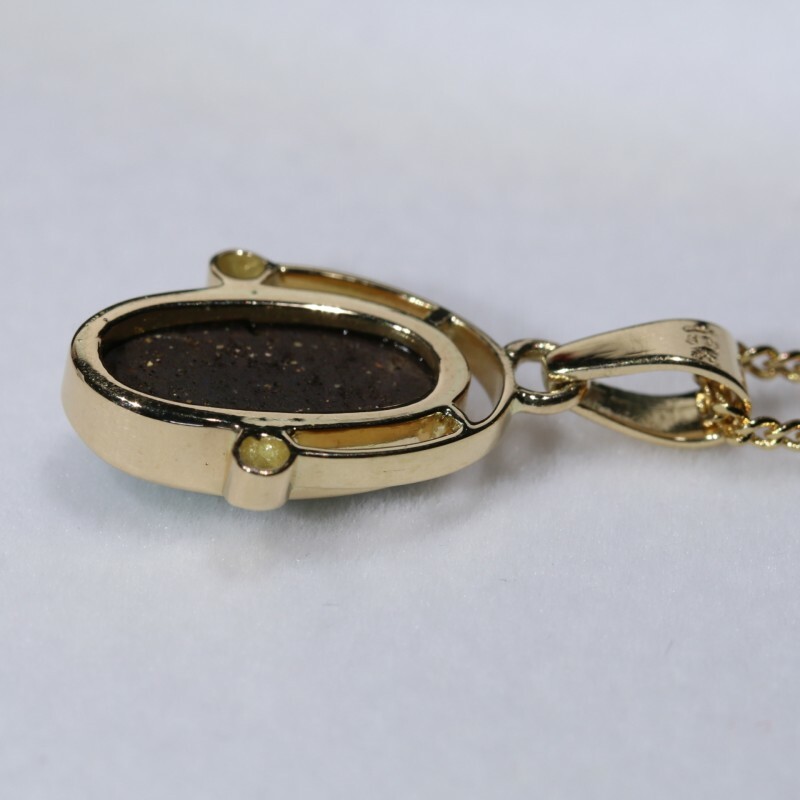 Set with 2 natural diamonds in a modern 18k gold pendant design.